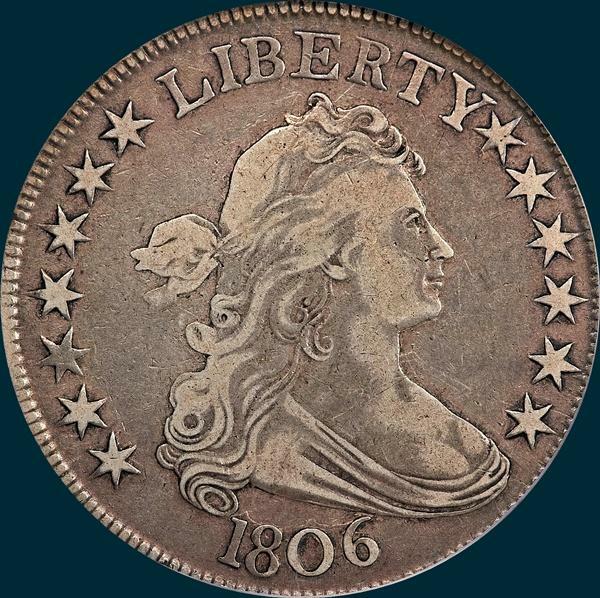 A true toughie with a PCGS AU55 being second finest, and now a newly discovered NGC MS62 being finest. This one does draw a significant premium when ballyhood by auction houses. Half the examples appear to have problems as well. Steve Tompkins located over 20 examples lowering the rarity rating recently to R6. Reverse-5 berries and all have short stems. Point of leaf to right base of I and a close 1/4 mm. Point of star joined to beak near its point. E in UNITED recut at left side. 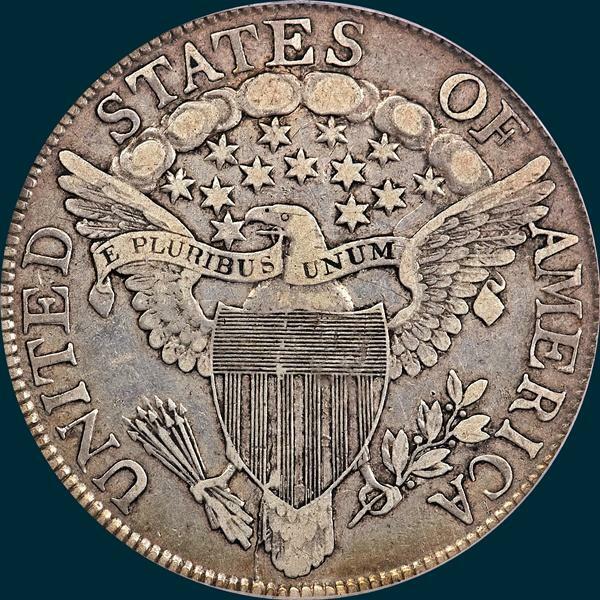 A2 is solidly joined to both third feather and M. Upper left star has been recut or repunched at upper three points. A pronounced and rough die break from milling just left of tail feathers, rus up between stripes 2 and 3, to top of the shield. Late states show a die crack from the first through arrow feathers through base of U below NITED into left wing feathers.